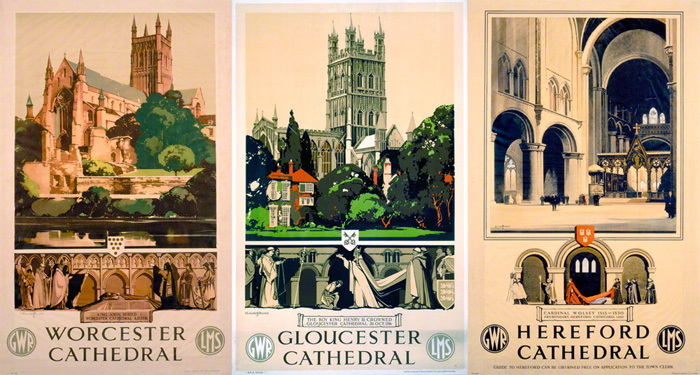 These three major pre-war Cathedral Paintings are quite unique and all are centred in an area close to where Claude Buckle grew up. Richard Furness in his books refers to them as the three choirs as they represent this area of England from the tourist perspective. All are well worth a visit being of considerable interest and relatively close together. They are located in a triangle with the River Seven and Malvern at the centre. Created in 1933. 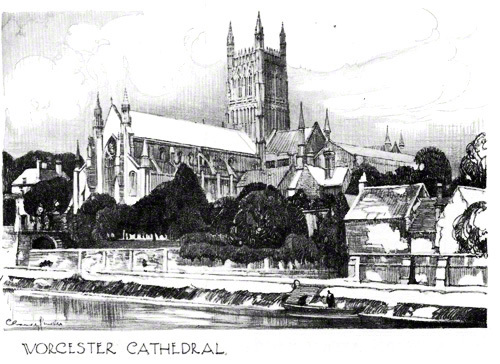 The menu card drawing for Worcester Cathedral. This menu card was drawn in 1935.